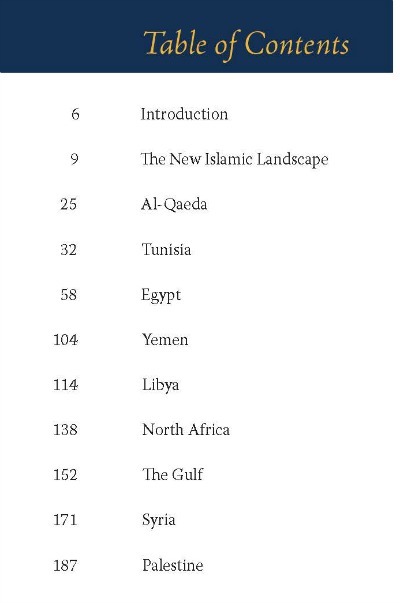 Drawn from essays originally published on ForeignPolicy.com‘s Middle East Channel, this collection offers well-informed, timely, and highly readable analysis of the Islamist movements which are reshaping the politics and society of the Middle East. The election of the Muslim Brotherhood’s Mohamed Morsi as president of Egypt has sharpened the focus on the role of Islamist movements in a rapidly changing Arab world. Social and political movements based on a political reading of Islam have for decades been among the largest, best organized and most effective forces in many Arab countries. Since the Arab uprisings, they have faced new opportunities and challenges — from elections in Tunisia and Egypt to fighting in Syria and Libya. Who are these Islamists? What do they want? How do they fit within the political arenas in which they operate? 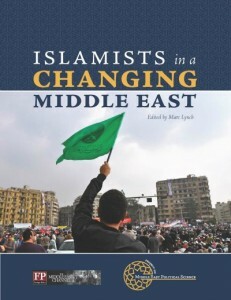 Islamists in a Changing Middle East, edited by Marc Lynch, brings together reporting and analysis from nearly two dozen of the world’s top experts on such movements — including Khalil el-Anani, Nathan Brown, Shadi Hamid, Michael Wahid Hanna, Laila al-Lalami, Stephane Lacroix, Nir Rosen, Olivier Roy, and many more. This special ebook, edited by the Project on Middle East Political Science’s Marc Lynch, assembles an exclusive collection of top writers and scholars writing on the region today. Buy it now for just $4.99.